I really do enjoy writing this blog. If you’re new here, Life as Told by an Upcoming Twenty Something is all about the mishaps, blunders, pitfalls, mistakes and lessons learned while in your twenties. I am learning, writing and sharing with you all as I go. So usually when I write something, it’s because it is either something I have walked through or am walking through. If you ever feel like I am preaching to you, please don’t. Because I am telling myself these lessons as much as I am telling you guys. So I am 24 years old as I write this, and I find myself in a bit of slump lately. Talking to my older brother the other night, I found ironically that when he was 24, he too found himself in a bit of a “quarter life crisis”. Not to be dramatic, but 24 has been rough. These last six months have been hard. I have encountered a lot of uncertainty in my career, my friendships, with dating, you name it! In the midst of all the uncertainty and the chaos, I was reminded the other day the value of perspective. Feeling despondent and down on myself, I quickly remembered the value of what I choose to focus on. If all you choose to focus on are the clouds, you might miss out on the rainbow that peers through the darkness at the end of the storm. You might only see an inconvenient crack in the sidewalk that causes you to slip but completely overlook the flower sprouting in the imperfect, tattered cement. One saying that I live by is, “There is always hope.” Lately, I have gotten off track and forgotten that there is always something good to hope for. There are always second chances, new beginnings, births after deaths, wins after losses. So maybe you’re like me and you’re at a point where life doesn’t quite look like what you had planned. Or maybe you have had some success but lately only seen setbacks and losses. Well, I am here to give you a kick in the rear and encourage you to see that there is still good to be found from your frame of reference. There is beauty in the masterpiece called your life. Sometimes you just have to dust your eyes off to see that it’s there. My voice. The thing that I have been fighting to find the last four years. Speaking up for myself. Saying a decisive yes or no. Telling someone when I do or do not like something. Asking another person to stop. Telling someone that they have crossed a line and have gone too far. Asking for more. Demanding respect, honestly, graciously, without pretense. Asking to be seen, to be heard. The twenties for me have been all about finding my voice. It has been the most painful uphill battle I have ever walked through. You see, sometimes on the journey to find your voice you bump heads with people along the way. Sometimes when you speak up, people don’t like what you have to say. People may get offended. They may get upset. They just may not like you. Speak up anyway. It’s the hardest and yet most encouraging lesson I have learned in my twenties thus far. Speak up anyway. You see, by not speaking you are only doing yourself and the world around you a huge disservice. 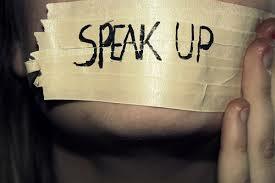 People will never see you for who you really are until you learn to speak up. Of course, speak up in a way that is still respectful to other people, but don’t fear speaking up simply because they may not like what you have to say. People will never see you for who you really are until you learn to speak up. I was recently reminded of this when a friend (also 24 years old) text me, disgruntled and upset, because her mother told her she was too loud. She goes on to tell me that her mother gets on to her and her oldest sister a lot actually- my friend for her loudness and my friend’s sister for her curly hair. This is probably something more common in black culture, but oftentimes women from older generations will deride or be critical of a young, black woman for wearing her hair in it’s natural, curly state. I laughed when my friend text me. My first thought was why does her mother’s opinion affect her so much and make her come undone? Funny thing, my mother has criticized me for both things, my hair and my supposed loudness. I remember, like my friend, being frustrated by my mom’s words and opinion of me. After much thought, I decided to respectfully disagree with my mom’s opinion and own my truth. I have an older brother and never once have I heard him being derided by parents for his loudness. Neither my brother nor I are particularly loud people (neither is my friend). Yes, in the occasional heated moment of passion or humor, we can be loud, but we are not loud people in general. Maybe because of my femininity or my age, I was told to be more quiet. To be meek and mild. To be lady-like. As far as my hair, I guess people my mother’s and my friend’s mother’s age do not like the volume, the texture or the curl? I say this with all respect to older generations and to people of my own generation with differing opinions, but I DISAGREE. I like my natural, curly hair. I think my friend’s sister’s hair is just lovely in it’s natural state. And yes, sometimes I can be loud. In my 24 years of life, I am sure I have had more than one loud moment like most people. But I am not going to allow someone’s opinion of me to make me feel like I must keep quiet. That a more quiet me equals a better me. These are just small examples of a bigger idea. The twenties are all about growing, changing, becoming better, finding who you are meant to be. How can you do that if you are worried about coloring inside the lines? How can you do that if you are worried about momma’s opinion and the opinions of those people over there? You can’t. You have to fight to find a voice and you have to fight to keep it. My personality has always tended to lean toward being a people pleaser. So for me this idea of finding my voice in my twenties is monumental! It’s huge! It means speaking up for myself and others. It means being brave. It means having the courage to not back down and to not quit. It means being bold enough to say, “Hey world! This is me! I am here! I matter!” I hope you will join me on this journey of finding your most true, authentic voice, unapologetically. Consistency. I have been pretty bad about this lately. With this blog, with my work ethic, with keeping a positive attitude, with pretty much just about everything. What’s the phrase that Dory from Finding Nemo made so famous? Oh, yes. “Just keep swimming.” Well, that is what I am here to tell you and to remind myself, as well. Keep swimming. A few synonyms for consistency are: regularity, constancy, routine, recurrence, steadiness, invariability, clockwork, predictability. In what areas of your life can you stay constant? Is there something important that you have slacked on in your routine? Is there a commitment or an area that you chose to make a priority where you no longer have kept constancy? One thing you hear thirty somethings say a lot is that the twenties are more about the baby steps rather than the giant leaps. The twenties are all about the behind the scenes work rather than the big show. I don’t think I quite understood this until I walked through it. In the midst of my weariness and cynicism, I have been able to find the good in this rough patch known as the twenties: the growing. While I sometimes hate it and find it rather uncomfortable. the twenties are a painfully, beautiful moment in time where you have the chance to blossom. It is said that by the time a person is 18 years old, their major ways of thinking and viewing the world have been developed. The twenties, then, must be a time for picking out those thought processes, habits, and ways of doing things and evaluating them. The twenties must be the time in between, not only where you get older, but when you choose to mature. So stay consistent. Right where you are. In that job. In that relationship. In that position. 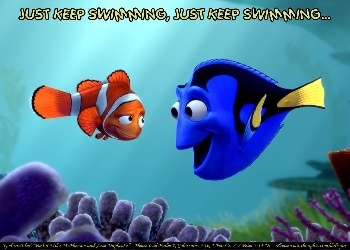 Stay faithful and when the going gets rough and you want to quit (because you will), just remember little Dory singing, “Just keep swimming. Just keep swimming. 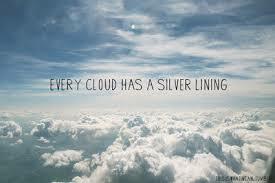 Just keep swimming.” Because it’s in the consistency and the faithfulness that you grow and mature. It’s there that you become a better you. Once upon a time lived a wide-eyed girl with big dreams. 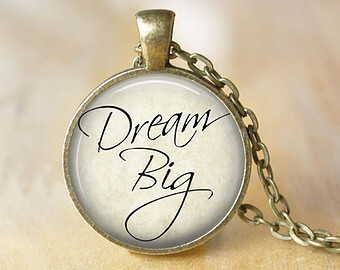 Dreams so big, they oftentimes scared her, but she dreamed anyway. Despite circumstances around her and the things she did not have, she believed she could be absolutely anything that she wanted to be in her wildest, most daring, brave dreams. If she worked hard and believed, then she just knew there was nothing she could not be. The girl got older and somewhere along the way she lost her way. Life took its tool. The hand dealt out wasn’t always fair. People came and went. She grew tired, and the wide-eyed, dreaming young girl unknowingly became a bitter, hopeless young, woman. This story is not a magical fairy tale of a girl in a far away land. This is my story, and the story of so many people who lose the wonder and magic of their crazy, most wild, daring dreams. As of late, I have found myself in a dry season (a.k.a the longest winter, according to my last post). I have found myself in a place where the dreams I have held so dear, for so long seem completely out of reach. I have seen myself grow tired of the hum drum, day to day grind of life, of the constant work, effort and toil that seems to never end. I have found myself dry and to be honest, extremely worn out. I read somewhere recently that age 24 is a carefree time, a time where you are supposed to persistently and incessantly pursue your dreams. I laughed when I read this, more like scoffed. For me and so many people I know, 24 has been hard and the journey to getting here has been even harder. Let me explain. The twenties have not exactly looked like I thought they would so far. I am not nearly as put together as I thought I would be. My career? Not where I thought it’d be. Dating? Relationship? Nonexistent. Living in my dream city? Let’s just say, Tulsa, Oklahoma isn’t exactly where I planned to be in my post grad years. It’s been a hard road these last few years. There have been a number of attempts, followed by a lot of getting knocked down, just to have to find the courage to get back up again. Talking to a lot of my twenty something friends, their journey has been a lot like mine, not according to plan. To anyone reading this, whether you’re in your twenties, thirties, forties or even in your teens, here is what I want to leave you with: Get back up! I know a lot of my blogs are about the mishaps, missteps and lessons learned of the twenties, but overall my biggest goal with this blog is to encourage my readers to keep going. Even when the road gets hard, especially then, keep chasing your dreams. Do not lose the wide-eyed, childlike wonder of your dreams. Without them, life becomes lackluster, dull and bitter. That is not a road that you nor I should travel. So if you have been down at all about a season you are walking in with your career, relationships, locale, etc., I want you to keep dreaming, not for me, not even for yourself, but for all the people you will impact by daring to dream those crazy dreams. After all, crazy dreamers are the people who change the world.